If you thought direct mail was limited to letters and postcards, you clearly haven’t met Red Paper Plane. With engaging, dimensional direct mail designs, and the entire process online, you can add your artwork quickly and easily. Red Paper Plane offers quick-turn production times, low minimum order quantities, and can accommodate limited budgets. So, unleash your creativity! The idea is simple. 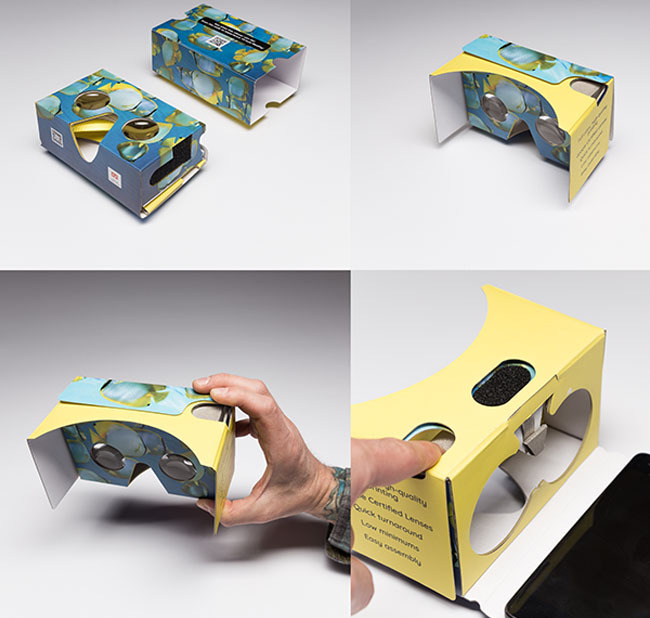 Three-dimensional, interactive products can be time-consuming and complex to design. With so many moving parts, designers may spend more time thinking about the technical details than designing. So, Red Paper Plane took care of the technical part for you. With dozens of templates to choose from, all you have to do is design. Telescoping sliders where the pull of a tab slides individual panels out of their holder, tripling the size of your message. Red Paper Plane also defies the laws of print by incorporating technology into high-impact printed formats! 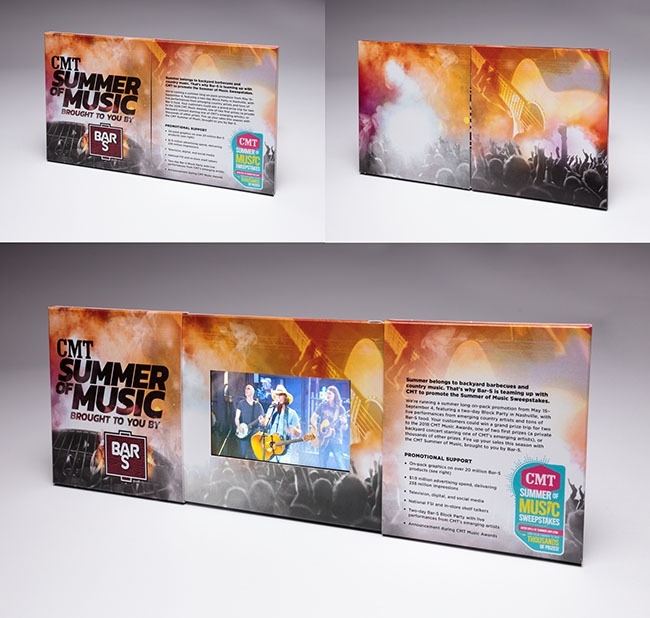 Our high-quality Video in Print brochures are customizable with your artwork and video content, and are sure to create a lasting impression of your brand. Web keys are perfect for driving your target audience to your online communications, while our SleekPeeks® Virtual Reality Viewers immerse your prospects in a 360-degree experience of your brand. Not to mention, because of the interactive nature of our formats, all our designs act as great conversation pieces and are often shared with colleagues, family members, friends, etc. extending the reach of your campaign even further than you initially intended. Think of each Red Paper Plane template as a blank canvas, with nothing to hold back your creativity. As the designer, you have complete creative autonomy. We simply provide you with the structure within which to place your marketing message. Red Paper Plane provides you with over 60 blank canvases, so all you have to do is create. 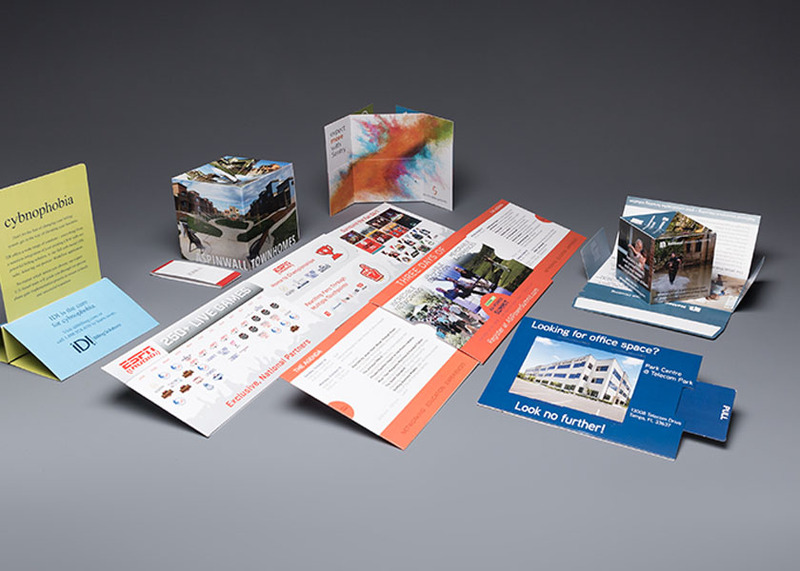 Click here to request your very own Free Customer Success Kit to see for yourself just how other designers have been achieving success with Red Paper Plane’s engaging direct mail designs. What will you do with your canvas? Visit us online or call us at (860)-469-3200 to learn more.